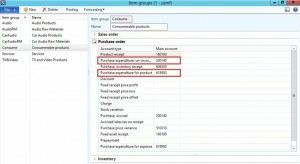 Purchase expenditure, un-invoiced: This posting type is used to accrue the liability and product receipt amounts when a purchase order is product receipt updated. Purchase expenditure for product: This posting type is used to offset the liability and inventory amounts when a purchase order invoice is updated. The accounts for these posting types can be specified in the Posting form (Inventory and Warehouse management> Setup>Posting>Posting) and on the Purchase order tab on the Item groups form (Inventory management>Inventory>Item groups). 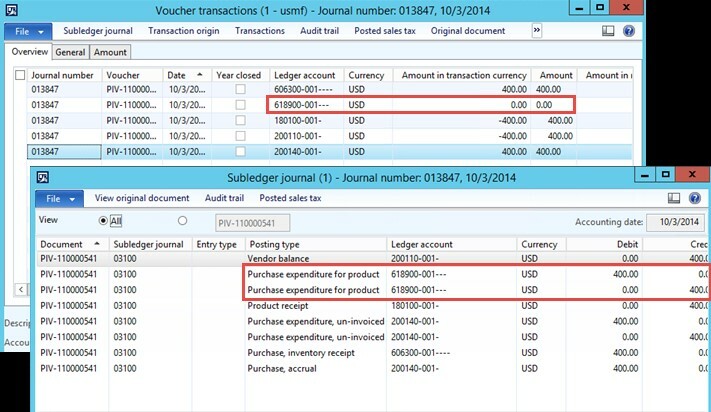 In AX 2012 R3, both accounting processes referenced above will create subledger journal and voucher entries. 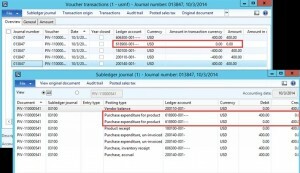 For posting type Purchase expenditure, un-invoiced, accounting entries which net to 0 will not be transferred to the general journal as in AX 2012 R2. 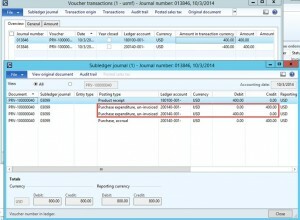 The Purchase expenditure, un-invoiced postings are not displayed in the Voucher transactions form but in the Subledger journal form. The Subledger journal form will display all generated subledger accounting entries, including those not transferred to the general ledger. 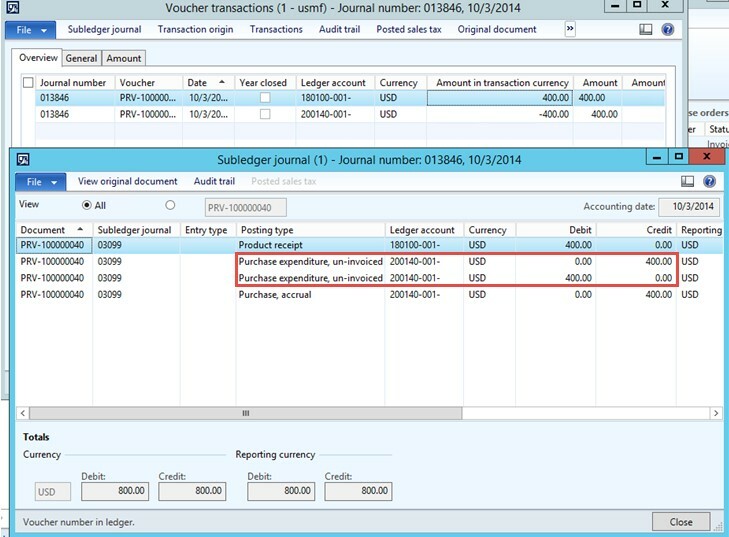 For posting type Purchase expenditure for product, accounting entries that net to 0 will no longer display both a line for the credit and debit entries in the Voucher transactions form as in AX 2012 R2 but will be displayed in the Subledger journal and transferred to the general ledger in a single zero-amount accounting entry. Instances exist for both posting types Purchase expenditure for product and Purchase expenditure, un-invoiced where there will be a balance for stocked items such as from currency translation or a stocked item which is returned with a variance between the unit price and average cost. by Robin Ellsworth, AX Application Consultant at Columbus. 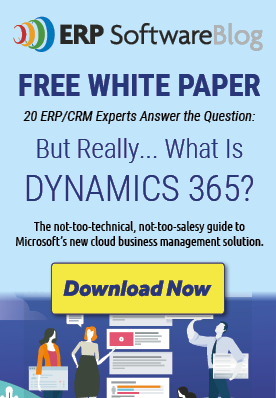 Columbus is a Microsoft Dynamics AX partner serving Southern California. What’s the Sizzle That Differentiates Dynamics AX from Competitors? Need A More Productive Warehouse? There’s a Mobile App for that! How can I set up no partial shipments allowed for a specific Vendor? Over/Under % is only at the released item level. I have items that I buy for Internal use. Consume internally. That same item could be potentially sold to a customer. How should I manage this in AX to cover both scenarios. It is my understanding that I can only have one posting profile per item. 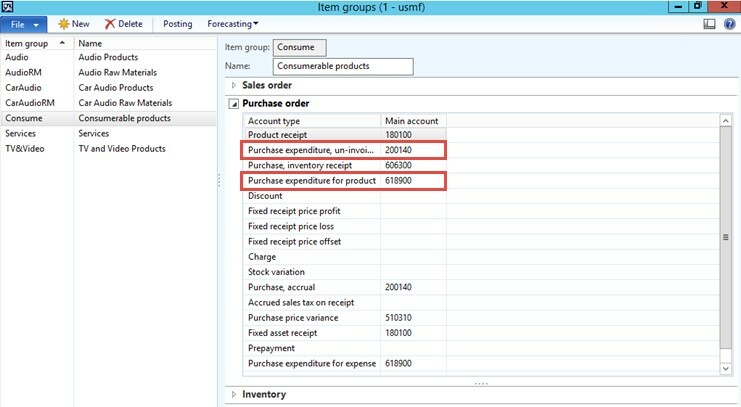 If someone purchases an item for internal use, but they occasionally sell the item to a customer they could do the following. 2. Set up a secondary posting profile for the item (and even customer) by going to inventory management > setup > posting > posting and when the specific item is sold to that customer it will use the accounts set up under the sales order section for that item and customer. How do I go about when receipting at a date (with a certain currency rate) and then invoicing on a date much later than the receipt date (at a different currency rate). I do not want to impact the cost of the inventory as I want to account for this at the receipt date but also don’t want to override the exchange rate upon invoicing. It can be accomplished by selecting the ‘Accrue liability on product receipt’ checkbox on the Item model group associated with the service item. You must also have an account specified for the following posting types in the Item groups form for the Item group associated with the service item. When posting the purchase order invoice, the entries recorded for the purchase order product receipt will be reversed. And the following transactions will occur to record the liability to the vendor and record the expense. 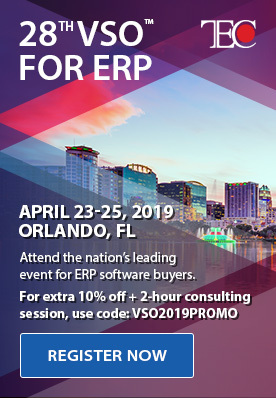 When I buy a service item -say consulting service and account for “receipt”, I would expect this to be accrued to “Consulting expenses” at the time of receipt and not when I record the vendor invoice. Is this possible? I see that Purchase Expenditure Un-invoiced account can be set to equal the GL account for actual expenditure-but this will result in clumsy posting in and out of this account. Ideally, we get the debit in the first place to actual expenditure account at the time of receipt and not at the time of invoice. nice article and very helpful, please keep posting.